With a host of advanced features, our specialist textile RIP suite, TextilePRO, can put both power and precision into your printing. 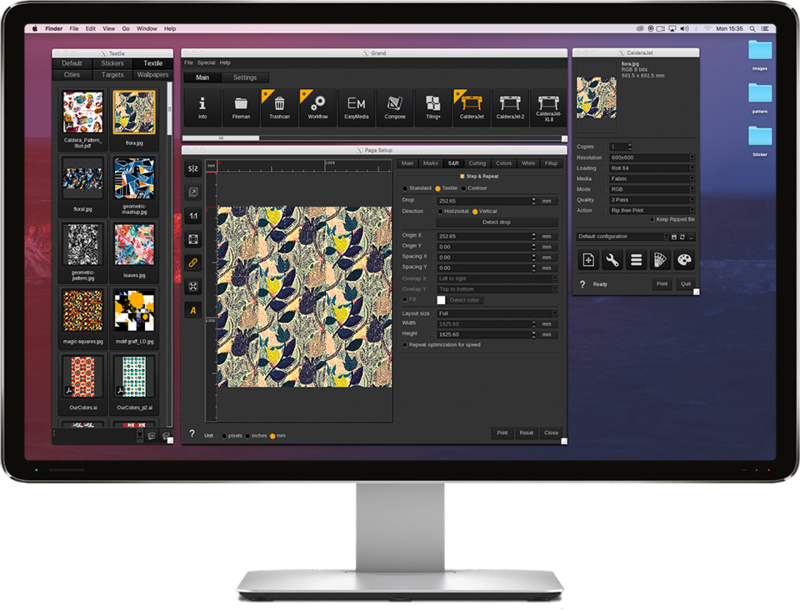 Use it to optimize pattern layout, to help you create and manage new inksets, and to estimate your printing costs and minimize media waste. Textile producers can also benefit from GrandRIP+, the ultimate driver for wide-format printing.